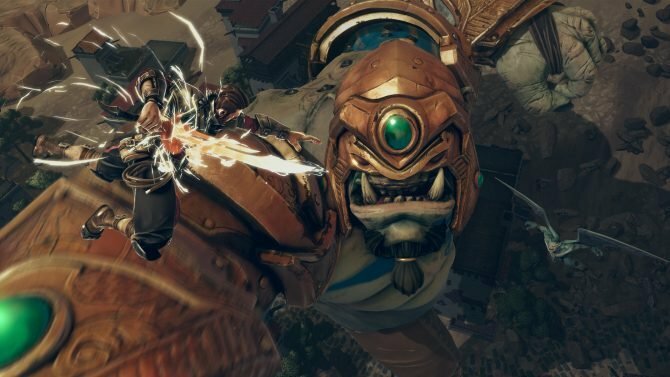 Back on June 1st, developer Iron Galaxy — the Chicago and Orlando-based developer that propelled itself onto the scene with Killer Instinct and Divekick — announced its brand-new game, Extinction, for PS4, Xbox One, and PC. 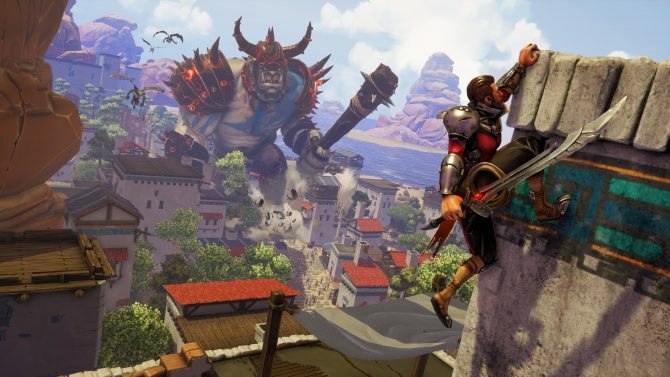 Fast-forward to today, during E3 2017, and Iron Galaxy — via the game’s publisher Maximum Games — has released a new gameplay walkthrough trailer that comes in at almost six minutes, and shows off more giant-slaying and highlights the game’s mobility both vertically and horizontally, wall runs, devastating air assaults, dynamic combat maneuvers, and different skill trees. 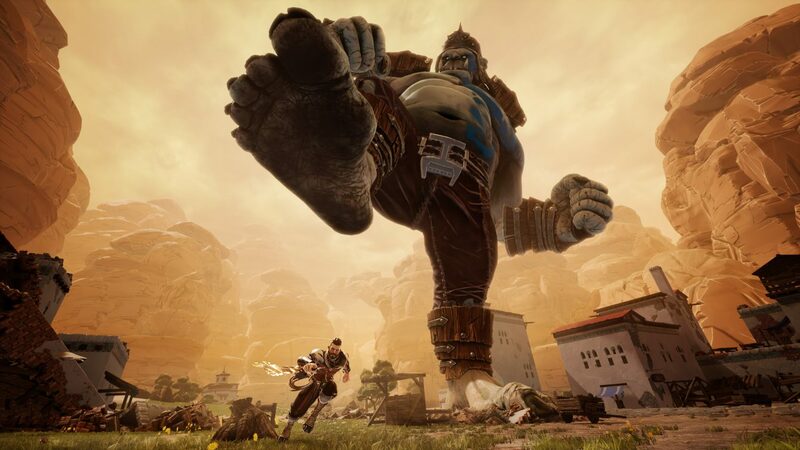 For those that don’t know: in Extinction you fight massive brutes and their minions across a sprawling countryside, defending cities and rescuing refugees escaping their homes and death. In a premise very similar to Attack on Titan, you have to defend your people from annihilation as you’re the only thing that stands in front of their extinction. You play as one of the world’s last Sentinels, a soldier names Avil who is perhaps the only one equipped with the skills to stop the endless wave of Ravenii. According to the game’s description, as far back as anyone can remember, humanity has been at war with itself while the real threat loomed int he distance. Legend calls them the (aforementioned) Ravenii, an encroaching army of bloodthirsty monsters standing 150 feet tall that once threatened to destroy humankind. Stopped in the past, the Ravenii have returned, and that’s where you — the last trained in the ways of the ancient order — come in. Skill-Based Combat. Travel horizontally and vertically, perform wall runs, and use your whip as a vault to perform devastating air assaults. Master dynamic combat maneuvers to effectively traverse the giant beasts and expose their weak points, progressing along different skill trees to develop a path best suited to your playstyle. Custom Battles. Create custom battlegrounds with varied objectives, and challenge players online to compete for the top score.